Today, we had a belated celebration of Read Across America Day here in Asia. Each teacher had different Dr. Seuss books they read and an activity they did with it. Difference classes rotated to our classroom and enjoyed listening to Dr. Seuss. I read the book Bartholomew and the Oobleck, and had them make their own oobleck.It was a fun book to read, but I know the kids had more fun making their own oobleck. They were so excited to get their own oobleck to take home as well. Afterwards, many of the kids asked me where to buy food coloring. They wanted to make some on their own. It was fun, but afterwards, my classroom was a bit of a disaster area. 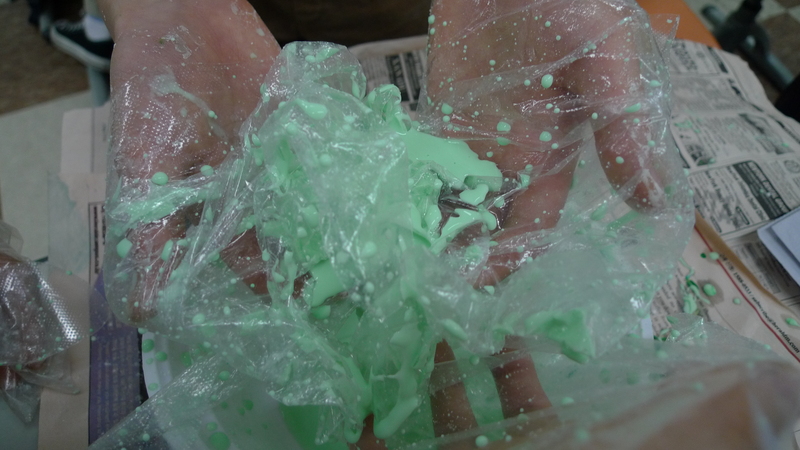 There was geen slimy oobleck everywhere. Cleaning up took a long time. On our clean hands, shirts and floor. 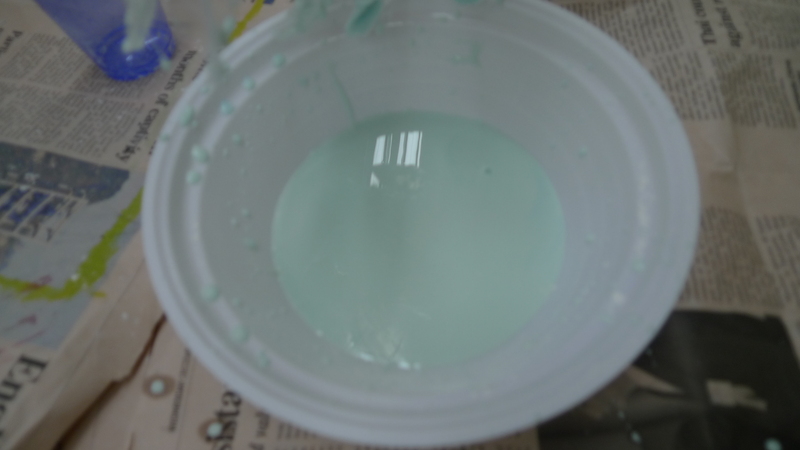 Directions for oobleck: Mix 4 tablespoons of cornstarch, with 2 tablespoons of water, and food dye. Then you have your lovely oobleck! Sounds like fun! The kids will remember this day . . . and I love your poem that synthesized your experiences! Share this with the classes! 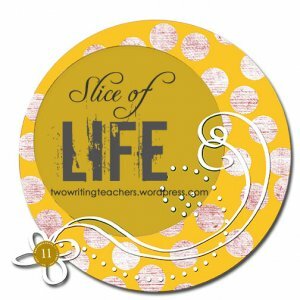 I loved doing the oobleck activity with my students … and they were adults, and they got into as much as it sounds like your kids did! And earlier this week I had the surprise of waking up to hear a reporter talking about oobleck on NPR. That stuff gets around! Hope your classroom’s clean now!